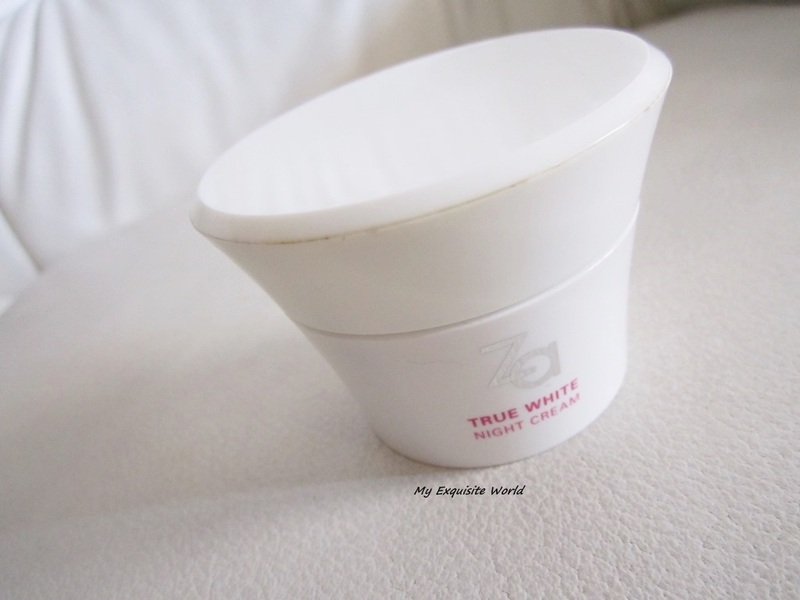 ABOUT: A whitening night cream for moisturized translucent skin. 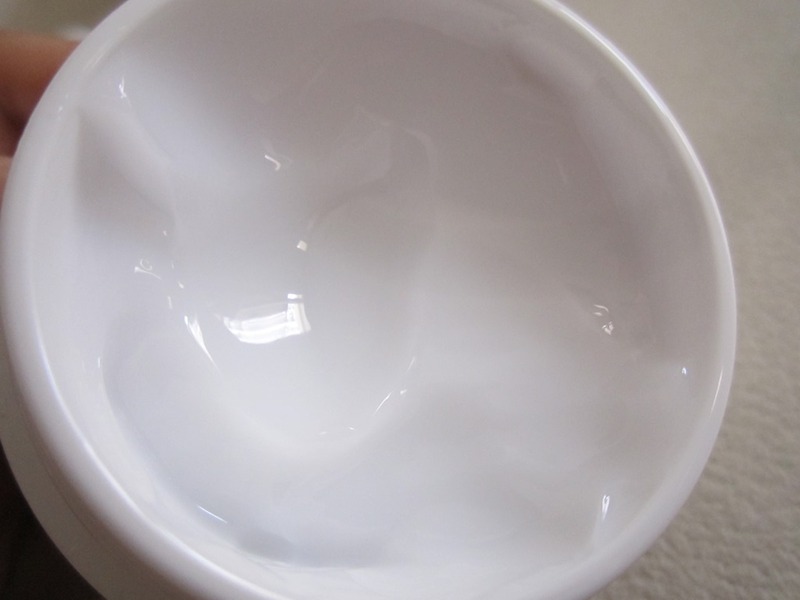 Removes excess skin surface cells and deeply hydrates skin. 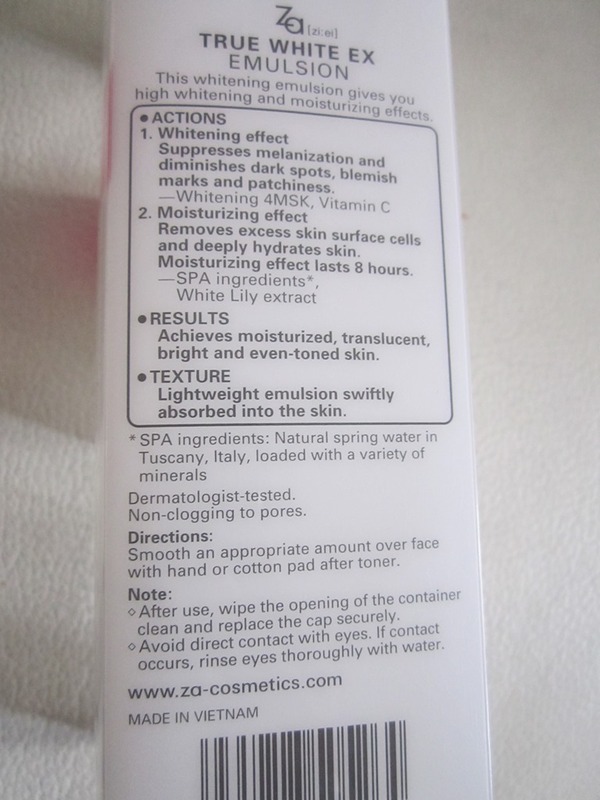 Moisturizing effects lasts up to 8 hours. 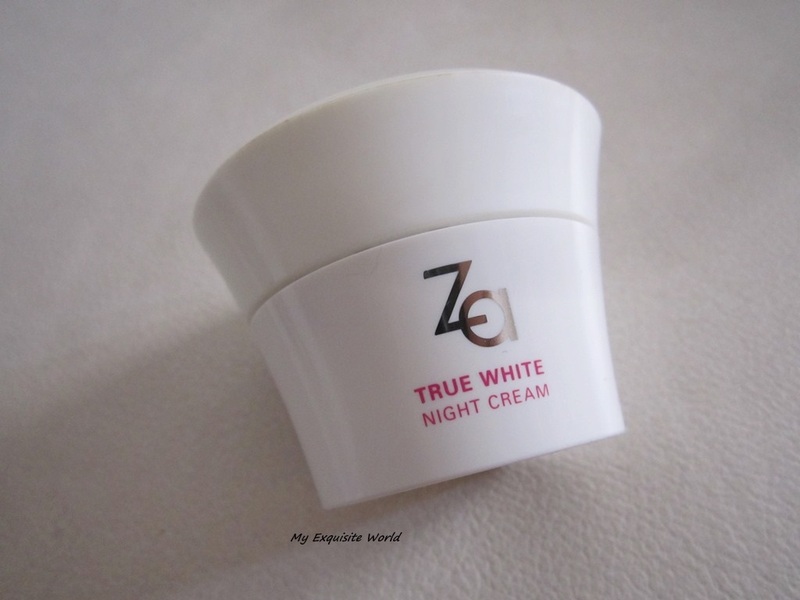 PACKAGING:The night cream comes in sleek white coloured jar with Za written on it..You need to dip your finger and take out the product.The packaging is neat and clean.It is sturdy and travel friendly. 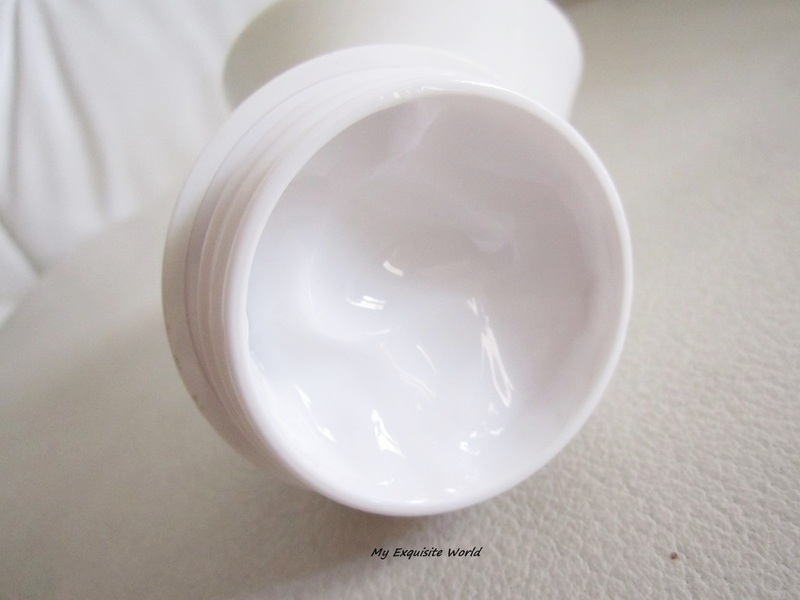 MY VIEWS: The night cream has a gel like consistency.It applied very smoothly and absorbs well into the skin.The most amazing is the fragrance of this product.It leaves a slight cooling feeling on the face.I can see immediate moisturisation on my face the moment I apply it.It leaves my skin supple and baby soft which I absolutely love.I have been using this night cream for almost a month and I can see the difference in my facial skin.My dry areas on face and no more there in this changing weather.The facial skin has becomes radiant and soft.It feels nourished and the dullness has gone. 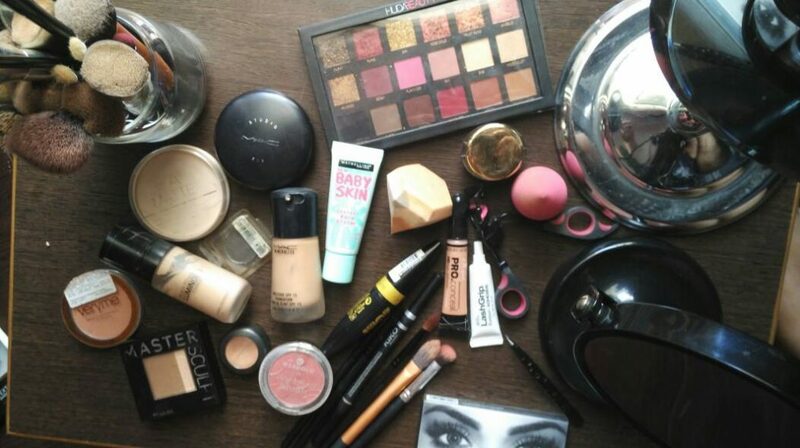 The cream did not break me out or clog my pores.Only a small amount is needed after applying serum.I wake up with a healthy and radiant skin which I love.The cream has definitely worked on my acnes marks as they are less visible.My overall skin tone has become quite even now! RECOMMENDATION: I absolutely love this cream and Highly recommend it to everyone.It is true to its claims.The cream has done a great job on my combination-oily skin and I ma sure it will prove to be beneficial for dry skin beauties as well. 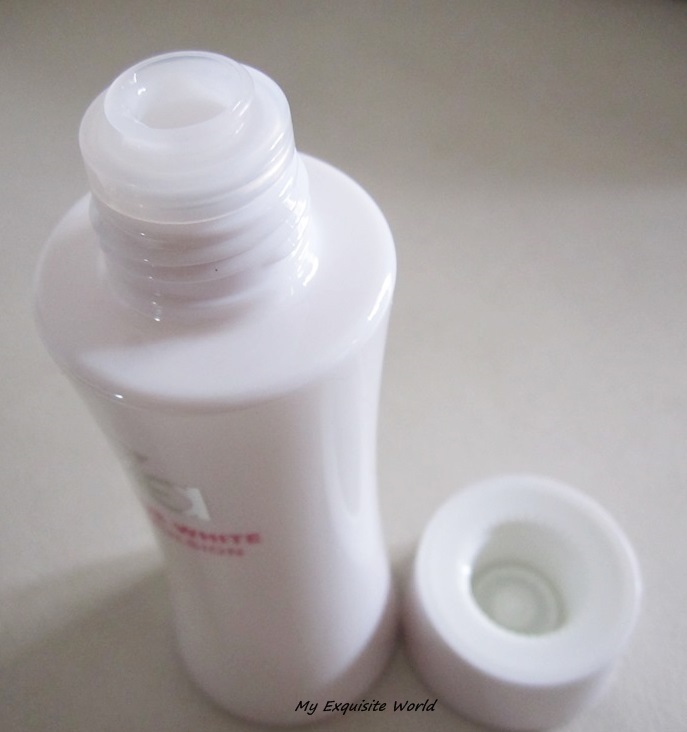 ABOUT:A whitening emulsion for moisturized translucent skin. 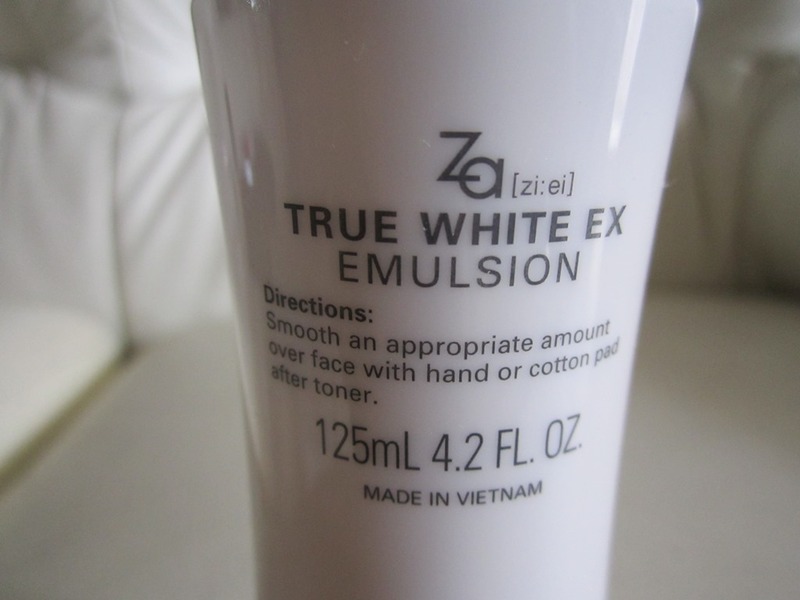 Smooth an appropriate amount over face with hand or cotton pad after toner. 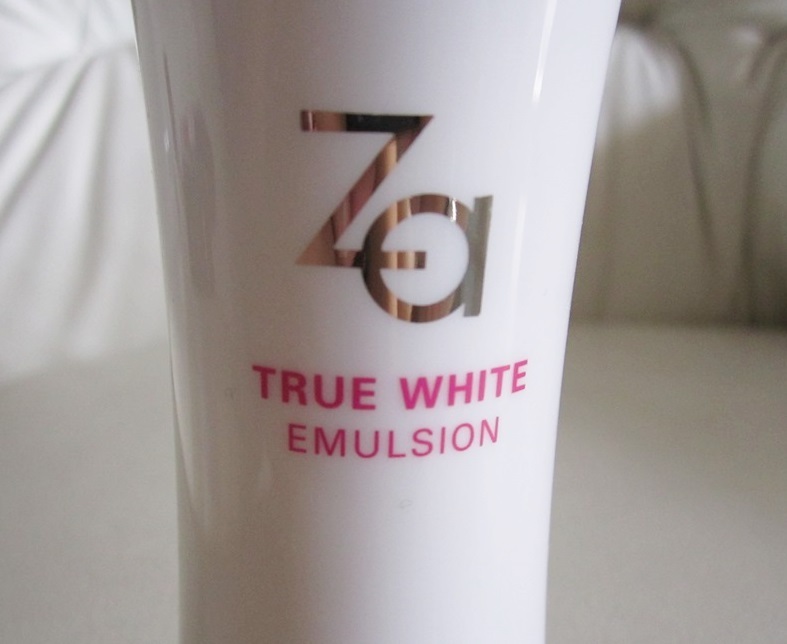 PACKAGING:The packaging is really subtle and classy.A white outer cover bottle with Za(metallic) and True White Emulsion(pink) written on it.The dispenser is very cleverly made.Though the mouth is open,it is rimmed in such a way that only small amount gets on hand at a time.The packaging is slightly bulky but sturdy and travel friendly. MY VIEWS:The first thing you notice when you take the serum on palm is the heavenly delicate fragrance.I am sucker of such fragrances and love using this.The fragrance is very posh just like high-end skin care products.The serum is white in colour and has thick gel consistency.However,it spreads easily and gets absorbed into the skin leaving slight dewy glow on face.One thing I have noticed is that if I use a bit extra quantity of the serum then my face looks little oily.It is lightweight and provides a refreshing feeling to the face. The serum is very moisturising and hydrating.It suits my combination/oily skin and didn’t break me out.The serum provides dewy glow to face which I absolutely love.I apply this only at night after cleansing.My skin feels really soft and supple and looks fresh int he morning. 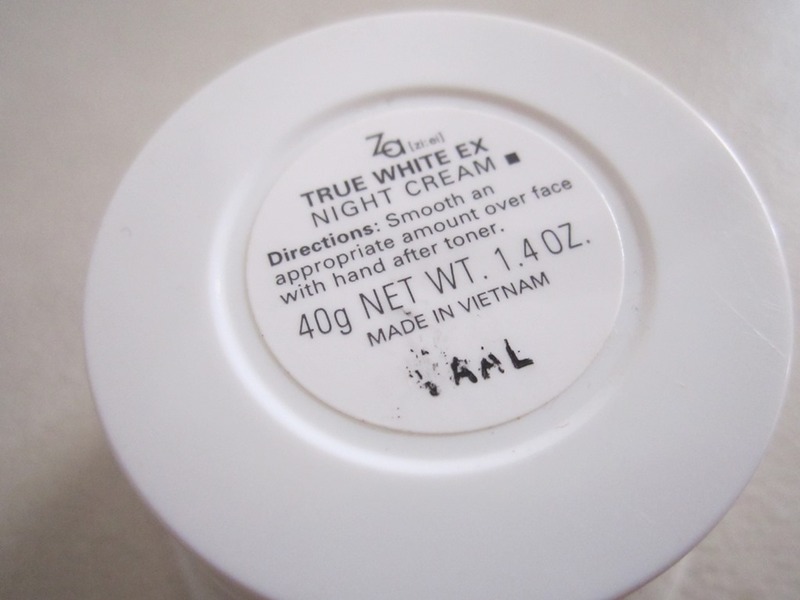 After 1 week of usage,my skin had a subtle glow and I see some brightness as well.My face looks more even and slight acne marks have diminished (in 2-2.5 weeks).However,my main issue of pigmentation is not been soughted out.My face looks fresh,even and bright.However,after 3 weeks of usage,my pigmentation is still there though the brightening effect does blur the pigmentation to certain extent. RECOMMENDATION:I love the overall product and the formula.The SA told me that this bottle would survive for about 3-4 months as a little quantity is needed and I feel that 125 ml for rs.899 is worth as the serum is really good and does work to some in providing even toned,bright facial skin.